The signs of aging may leave a mark on your smile over time. 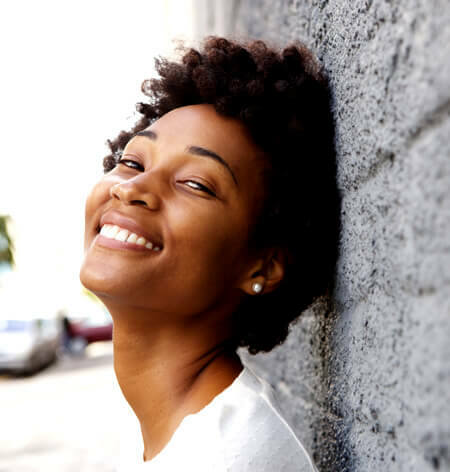 Fine lines around the mouth and lips can take away from a youthful-looking smile, while facial folds and deep wrinkles can contribute to an older-looking, tired appearance. Dr. Mark Stein offers Restylane® facial filler to combat these effects by adding volume to facial lines and creases. This cosmetic filler is FDA-approved to volumize areas of the mid and lower face for smooth, natural-looking results without any downtime or recovery. 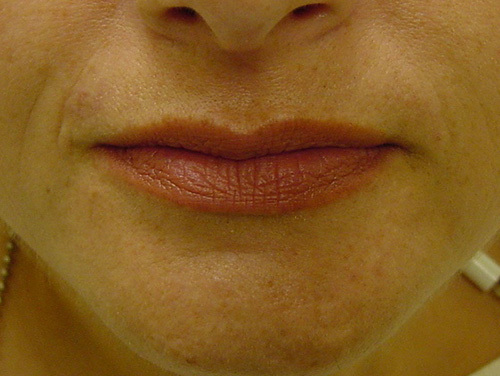 Restylane® can also be used to plump the lips for a fuller pout. 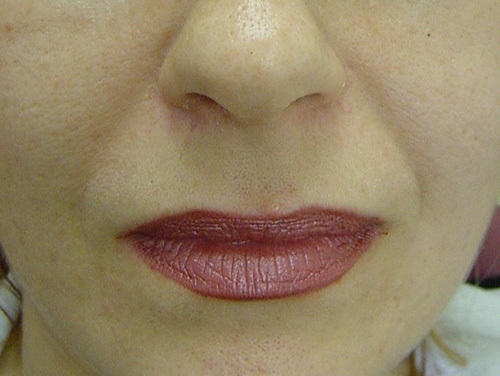 How does Restylane® facial filler work? As we age, our skin begins to lose its youthful elasticity and fullness. Sun exposure, stress, genetics, and even lifestyle habits like smoking can all contribute to the development of facial wrinkles, lines, and creases. Restylane® cosmetic filler injections can help smooth wrinkles and restore youthful contours to your face. Made from hyaluronic acid, the same substance that occurs naturally within skin and helps to provide fullness and elasticity, Restylane® can help reduce the signs of aging, with outstanding results that typically last about 6 months. How are Restylane® facial fillers done? Dr. Stein does Restylane® injections right in our offices. Dr. Stein will use a topical anesthetic cream to ensure maximum patient comfort. The procedure takes just 15 minutes, and patients can return to their normal activities immediately following treatment. Results can be noticed immediately and typically last up to 6 months. How do I get started with Restylane® facial fillers? Dr. Stein and his staff would be happy to discuss Restylane® facial filler with you. Please call 212-888-4760 or schedule an appointment online to arrange for a private consultation at our office. My dentist, whom I regard highly, recommended Dr. Mark Stein for a complicated extraction that she would not perform. I was scared of this procedure, but Dr. Mark Stein made it easy—a walk in the park. The staff was extremely friendly and the entire experience was beyond my expectations. I give Dr. Stein an A+. Best place ever to go get your wisdom teeth pulled. They were so pleasant as soon as you met them and made sure you were comfortable and even followed up after hours at home to make sure I was ok and had no more concerns. I didn't feel a thing. Dr. Stein and his staff are great! Dr. Stein is a wonderful surgeon. I had a true fear of having teeth pulled, to the extent that I have had fillings and then root canals done on my wisdom teeth. Please let me advise don't do that. Instead, visit Dr. Stein. All of his work for me has been painless, fast, friendly, and professional. His office and staff are knowledgeable, efficient, and very pleasant. I recommend Dr. Stein without reservation. Look no further. Dr. Stein is an outstanding oral surgeon. He is extremely friendly and gentle, called me the evening after my surgery to make sure I was doing OK, and took plenty of time to explain what he was doing and what to expect. I recommend him highly. I would just like to take this opportunity to thank you all for getting me in so promptly for my consult, then for the fast appointment, and finally for the professional courtesy. You truly made me feel very comfortable and I did not want it to go unnoticed. Thank you…from the bottom of my heart. You have changed my life, making each and every day a reason to show off my beautiful smile. I appreciate all that you have done. I am reminded of your hard work, patience, compassion and confidence every time I look in the mirror. Dr. Stein is a brilliant doctor and surgeon, who is highly professional and caring. He is hard working, and is truly committed to his patients. He practices cutting edge medicine, and is highly respected by his peers. *Disclaimer: The information contained on this website is intended to be purely educational in nature and does not create a physician-patient relationship with Mark Stein D.D.S., M.D. or any agent, servant or employee thereof. By no means should the information contained in this website be considered as a substitute for consultation with a qualified physician and it does not constitute a second opinion. This website and its contents do not represent or claim to provide the information needed for a patient to give his or her informed consent to any dental or surgical procedure or are a reflection of individual patient results, as they may vary patient to patient. Individual results will vary and no guaranteed result is stated or implied by any photo use or any statement, testimonial, or video on this website. The results depicted in “before” and “after” pictures and stated by any “patient testimonial” illustrate results you may or may not achieve if you choose to have a cosmetic surgery procedure. Individual results may vary by patient. Please see our Notice of Privacy Practices.